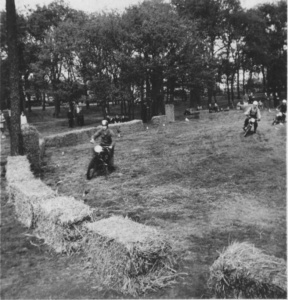 From his teenage years on my father was fascinated by the motocross sport. 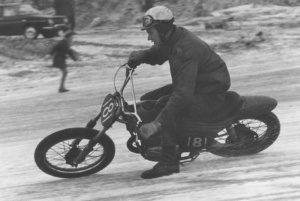 His first dirt bike was an Eysink, 125 cc, model AA which he had adapted himself to race with it. 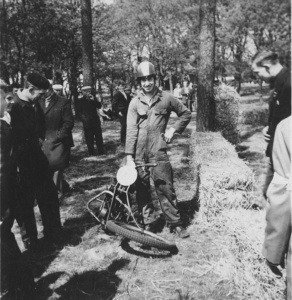 His first race wasn’t so successful. 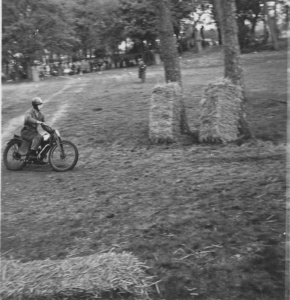 a few straw bales stood in his way and the Eysink was almost totally wrecked… But, fortunately, a few bystanders were so helpful to put their big feet on the front wheel, after it was dismounted, so as to straighten the wheel. After that the race could cautiously be continued. 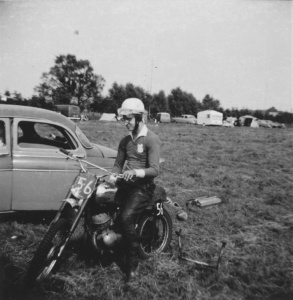 After the Eysink came the CZ, 150 cc in the picture with which he rode by the Dutch Motorcycle Association (NMB). 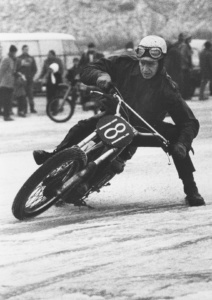 were fitted with nails to get grip on the ice by himself. 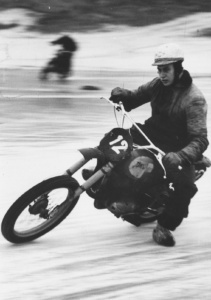 Just trying out the DKW from his brother in law. 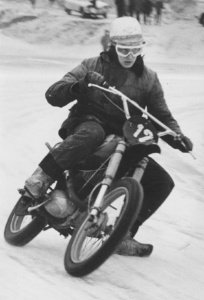 Later he switched to a Bultaco with which he did ice speedway as well as grass track races. 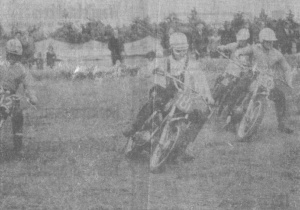 Dad won many prices and was even sometimes mentioned in the paper.